Battlerite Royale is an online action game that combines the basic gameplay mechanisms of MOB Battlerite with the structure of battle royale matches. A group of players controlling heroes selected from a large roster of warriors with unique abilities is dropped on the map. 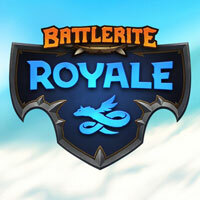 Battlerite Royale is a battle royale online action game with MOBA elements. The game is a spin-off of Battlerite released in 2017. Both titles were developed by Stunlock studio, known for Bloodline Champions. The project combines basic gameplay mechanics of Battlerite with the structure of battle royal games. At the beginning of the game a group of players is dropped on the map from the dragon's back. After landing, they have to fight with each other until only one warrior is left alive. During the game, the area is slowly shrinking - characters outside the barrier die quickly. Thanks to this, the action remains dynamic even in the final parts of a match - a smaller arena forces more frequent confrontations between the survivors. The game offers a wide range of heroes, each of which is equipped with unique features and skills. The characters come from Battlerite, but their statistics and abilities have been heavily reworked to match the battle royale games. The action is shown from an isometric perspective, which, combined with the presence of many characters with characteristic abilities, makes the game resemble a MOBA-type game. However, Battlerite Royale is an action game. There are no allied units or turrets here, and the fight is purely arcade - it requires players to manually aim their attacks and dodge. The game is focused on online battles. Lone players can play matches against artificial intelligence, but they only serve as training before multiplayer fights. Like Battlerite, Battlerite Royale has nice three-dimensional graphics made in a colorful cartoon style. However, the interface, matchmaking and network structure, on which the multiplayer battles were based, have all received significant changes, so they could better match the needs of the battle royale genre. Expectations: 6.9 / 10 calculated out of 7 players' votes.